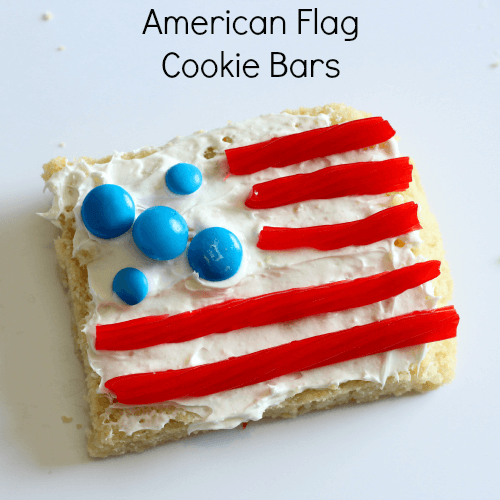 These American flag cookie bars are easy enough for even preschoolers to make and decorate. 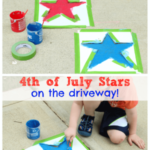 Set up a fun cookie decorating station this 4th of July! 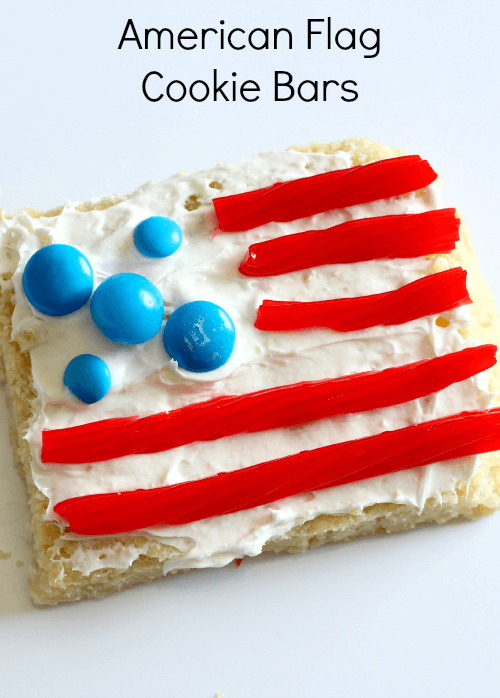 I wanted to create a 4th of July dessert that could also serve as an activity at a party or BBQ. 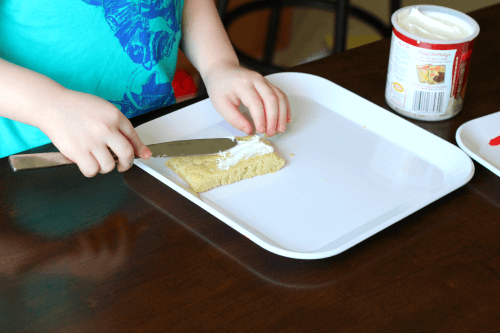 These cookie bars are very easy to make beforehand and then you can set up a cookie decorating station to occupy the kids at your party. 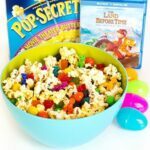 Blue M&Ms, blue jelly beans, blue skittles, etc. 1. I used 1 tube of pre-made sugar cookie dough and pressed it down into a glass 8×8 pan. I tried to make it as even as possible. 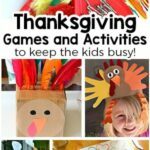 Kids can help with this part too. 2. Follow the directions on the package for cooking temp and time, but you will most likely need to add about 10-15 additional minutes to the cook time. I believe the package said to cook 11-14 minutes and I cooked for about 28 minutes. I just kept checking every 5 minutes. 3. Let the cookie bars cool completely. I made them the day before we decorated them. 4. Cut the twizzlers in half length-wise. Then take a bunch of those and cut them in half width-wise. The longer pieces will serve as stripes for the bottom of the flag and the shorter pieces will be stripes next to the blue candies. 5. Put all the blue candy out in cups or containers of some sort. 6. 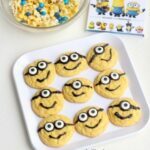 Make an example cookie bar for younger kids to use as a model, if you would like. 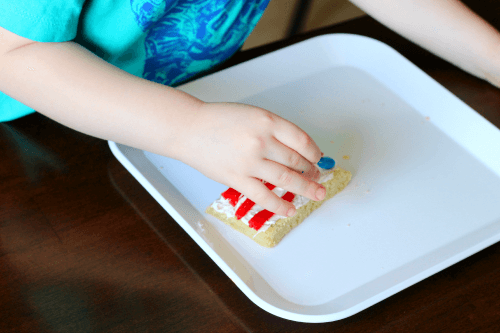 Put the cookie bars and all the other supplies out on a table and invite your children to make an american flag cookie! Evan was able to spread the whipped frosting on the cookie himself. I think whipped is a bit easier to spread. He also had no problems placing the candy on the cookie correctly. 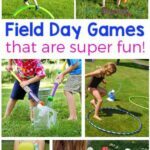 Overall, he thought it was a lot of fun and wanted to make more. He also enjoyed eating it, of course!